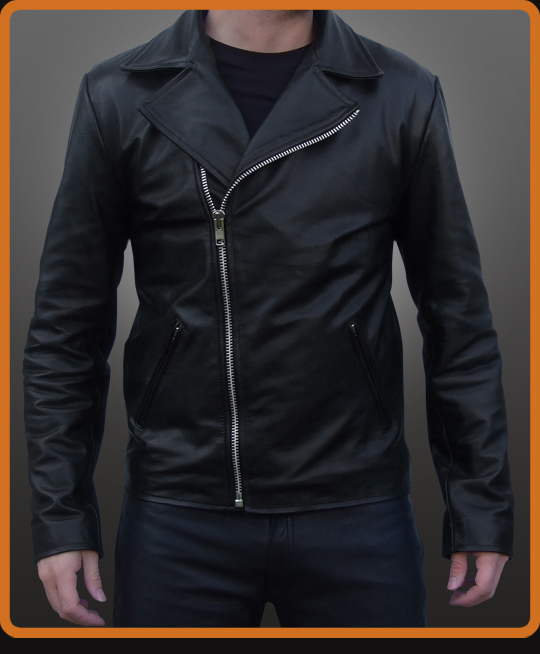 Mens motorcycle leather jacket replica as worn by Nicolas Cage in the movie Ghost Rider. Vintage style biker jacket in a clean look without the snaps and buckles for a very subtle, classic look. Concealed front pockets and open cuff zippers. 1.2mm leather with armor protection.